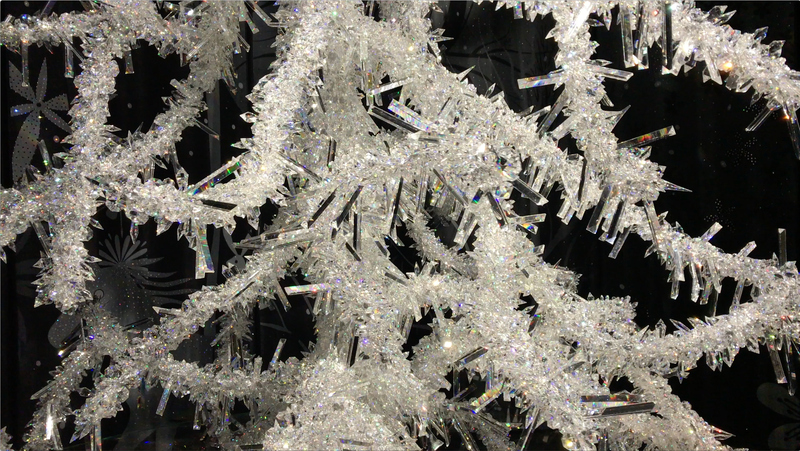 Silent Light is a 6-metre tall tree made from 150,000 sparkling Swarovski crystals. Originally designed by Tord Boontje and Alexander McQueen in 2003, it is now housed in one of Swarovski’s Chambers of Wonder in Kristallwelten. Surrounded by a romantic winter landscape filled with crystal snowflakes and crystal encrusted fabrics depicting an enchanted forest, the whole tree stands on a large turntable and slowly rotates, throwing sparkling reflections on everything in the room. Silent Light was originally commissioned by the Victoria and Albert Museum as a special Christmas tree for the main hall of the museum.